Comic Nollywood actor, John Okafor better known as Mr Ibu, who turned a year older some days back will soon be smiling to the bank as all goes well in the Atiku Abubakar’s camp. 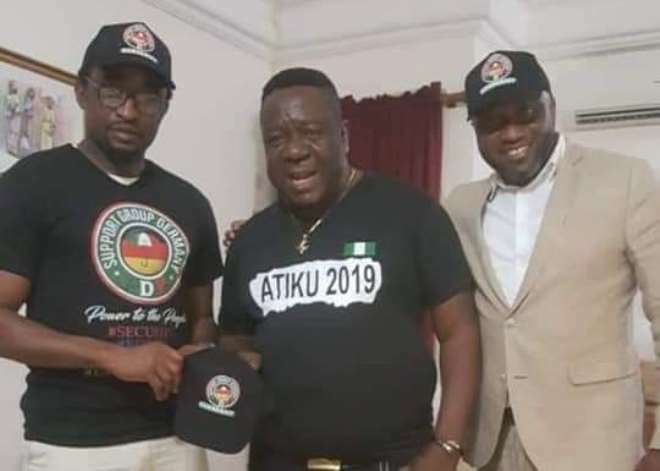 The comic actor was seen wearing a shirt promoting the flag bearer for the People’s Democratic Party (PDP) 2019 Presidential election in Nigeria. It is already obvious that the comic actor along with others who will be picked gradually will be the face of the party to help propagate the true mission of the party to Nigerians.